Many European countries now face the demographic challenge of an ageing population that many predict will strain public services, including healthcare, to a near breaking point. Pedro Pita Barros argues that Portugal is unlikely to witness an explosion in healthcare expenditure, despite its ageing population. In fact, the main challenges are not in the costs of healthcare to the elderly, they are in the organization of Portugal’s health service. Ageing populations have become a policy concern in most European countries. It results from both a decrease in fertility and an increase in longevity. Demographics move slowly, over decades, and other than immigration there are no quick fixes. 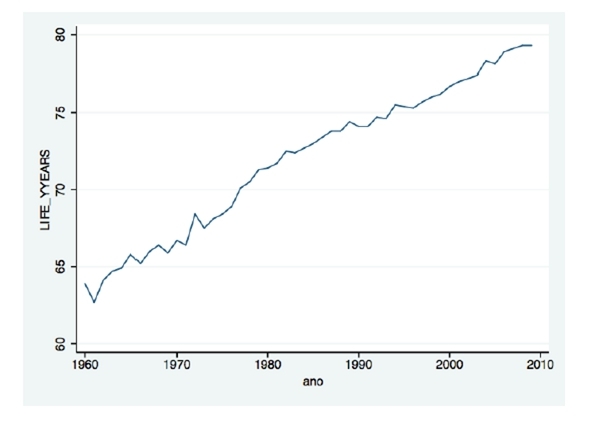 Portugal has not escaped this general trend, with rising life expectancies and a growing dependency ratio of older people no longer in the workforce to productive workers (as Figures One and Two below illustrate). At the same time, health expenditures have increased considerably especially in the last two decades. However, in my view, the literature does not point to a big role of ageing in the growth of health expenditures, especially in Portugal. An ageing population only explains the fast pace of growth in real per capita expenditures related to healthcare to a limited extent. To isolate the pure demographic effect, we should keep all other values constant whilst changing the age structure of the population. Figure Three, below, has some key numbers from Portugal. Over 25 years, the proportion of the population that was 65 years old or over increased from 11.3 per cent to 17.1 per cent of the population, but per capita health expenditures increased 3.4 times. * Based on the assumption that a person 65 years or older spends on average four times more than a person below 65 years of age. If 17.1 per cent of the population had been over 65 in 1980, then the simulated health expenditures per capita would be €408, against the observed €361, a 13 per cent increase in health expenditures due to the changing structure of the population out of the 340 per cent increase in per capita health expenditures (in real terms). Thus, whatever approach we take, ageing is likely to explain only a modest part of the total growth in health expenditures. 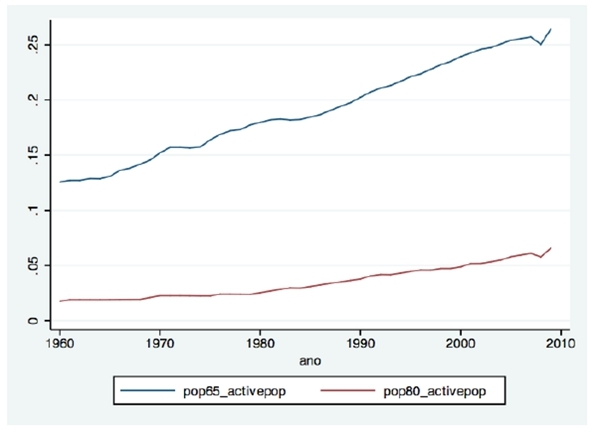 Since Portugal is already one the countries with a more advanced ageing process, it is unlikely we will witness an explosion in health expenditures growth due to further ageing of the population. Moreover, the elderly are also becoming healthier. More people are diagnosed with more chronic conditions but simultaneously use less healthcare resources (when comparing the results of the National Health Surveys of 1998/1999 and 2005/2006). An interpretation for this evolution in healthcare demand is that identification of diseases has become more widespread. Early identification helps to keep control of chronic conditions and may contribute, along other factors, to an older population that is healthier than previous generations. The challenge posed to the Portuguese health sector, and in particular to the National Health Service run by the government, is not so much the level of public spending in healthcare but how to organize healthcare delivery to the elderly. In this respect, the development of the continued care network, created in 2005, is one element. More directly, the medical profession has advocated management of chronic patients, with a greater role for self-management by patients. The fiscal adjustment currently taking place in Portugal has defined a larger number of policy measures aimed at making the public healthcare delivery more efficient. There is no explicit mentioning of the challenges of ageing to the health system and no reference to long-term care in particular. There is a general prescription that efficiency gains should be obtained, with a special emphasis on hospitals. Reducing acute episodes of chronic patients and ensuring patients are adequately followed in primary care is likely to contribute to a more efficient delivery system of healthcare. It is not clear whether hospitals will have the management freedom to take this direction (or even if they aware of its potential). Another area that can contribute is the development of the e-health agenda. The ongoing set of reform measures includes the creation of a web tool allowing patients to provide information and eventually help them to manage their health. This, of course, has its own challenges in an elderly population (digital literacy and ability to pay access to internet are the main ones). Privileged access to the data and proxy access when the elderly are not able to do it directly have to be sorted out. Pedro Pita Barros is a professor of the Nova School of Business and Economics, at the Universidade Nova de Lisboa and Research Fellow at the Centre for Economic Policy Research in London. His research interests are health economics, economic regulation and competition policy. He is currently chief editor of the International Journal of Health Care Finance and Economics. He has also been a Member of the Board of Directors of the Portuguese Energy Services Regulatory Authority (2005-2006).